Explore new strategies and opportunities for growth at Channel Partner Expo, March 26-28, 2017 at the Wynn Las Vegas. Master our Team Communications solutions including how to market and sell to the IT buyer. Sharpen your knowledge of unified communications with the world's leading industry research firm Gartner. Leverage one-on-one consulting appointments to develop strategies customized for your business. Learn how to grow revenue with more focused breakout sessions on solutions, sales skills and demand generation. Experience the enhanced Owners Track and a new sales management session. Network with over 50 exhibitors and experience the Team Communications Solutions Showcase. The fee to attend Channel Partner Expo for all North America partners (U.S. and Canada) per person is based on your highest achieved company level in the 2017 PartnerEmpower Program. Canadian Partners will be charged the CAD equivalent using the exchange rate at the time of payment for each partner attendee. The last day to register for the CPE is February 27, 2017. After this date, registration fees will be $1,700. For more information on Co-op reimbursements and PartnerEmpower status, please refer to the "REGISTRATION & CO-OP FEES" tab above. Hotel room charges are not included in the conference fee. You will be directed to the hotel website at the conclusion of registration to secure a hotel room. Reservations must be made by 5:00 p.m. (Pacific Standard Time) on February 27, 2017 to receive the group rate. After this date, reservations must be made by contacting the hotel directly at (702) 770-7000. Please note hotel rooms and the group rate will not be guaranteed and are subject to hotel availability at the time of booking. 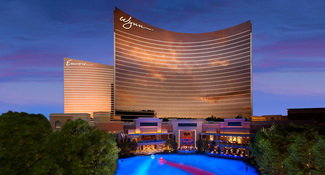 NOTE: To receive Co-op reimbursement for your travel, (up to $1,000 USD or equivalent $CAD) you must stay at the Wynn Las Vegas. After this date, registration fees will be $1,700 and hotel rooms will be based on availability. MOTOROLA, MOTO, MOTOROLA SOLUTIONS and the Stylized M Logo are trademarks or registered trademarks of Motorola Trademark Holdings, LLC and are used under license. All other trademarks are the property of their respective owners. ©2017 Motorola Solutions, Inc. All rights reserved.